This is how many blog posts I have yet to blog. I’m coming home from Barcelona and I’m just about to blog about my trip to Singapore which happened 2 months ago. Gah! Singapore’s weather is much like my country’s–hot and humid. Problem is though, the airport and plane ride aren’t hot at all. So to prevent getting cold, I like to travel with a scarf like this. It’s sort of my mini blanket on the plane. You know me, I’m all about comfort and function when it comes to dressing for the airport. My tip? Don’t limit yourself to plain scarves. Beautifully printed scarves like these can turn your simple outfit striking. Remember, a scarf is an accessory as well, so use it to your advantage. I got mine from Brianne Faye by Detroit-based accessories designer Brianne Turczynski. 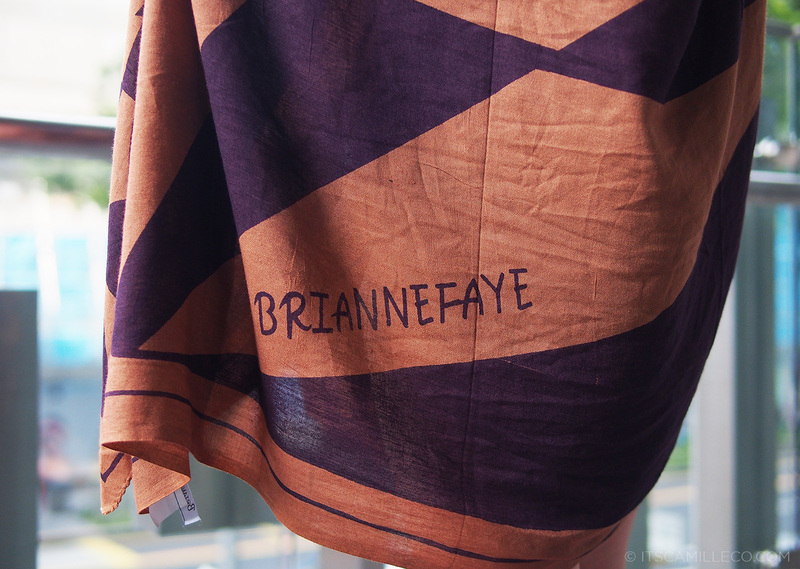 Brianne is known for her well-crafted classic designs of scarves and clutch bags. Most of her designs make use of geometric shapes and rich colors which look a little Native American-inspired to me. Her scarfs are literally wearable art! And since I was inspired by my artsy scarf, I decided to dress according to theme. I got a pair of striped shorts to complement my scarf’s geometric print and a statement necklace from Laia and bracelet from Taara to add to the Native American feel my scarf has going on. Just a little tidbit about Taara. 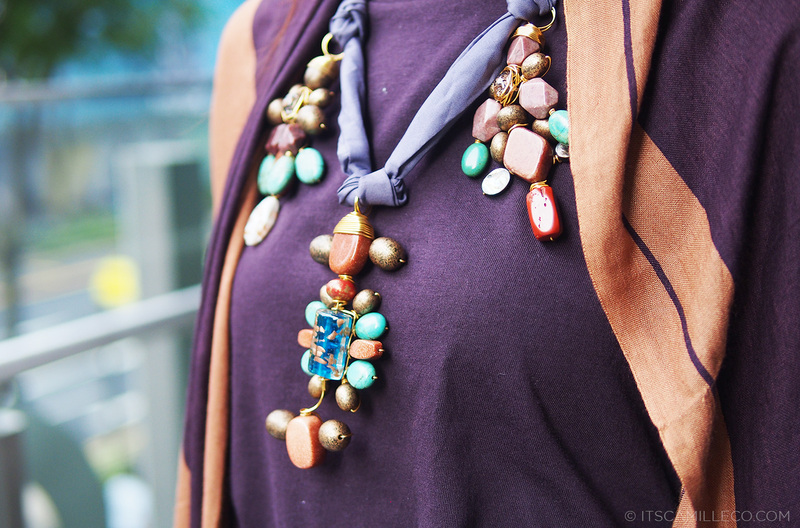 It’s the brainchild of jewelry designer Megha Jain. I’ve been seeing this brand at Hong Kong’s Lane Crawford and Singapore’s On Pedder for a while now and have always been a fan. 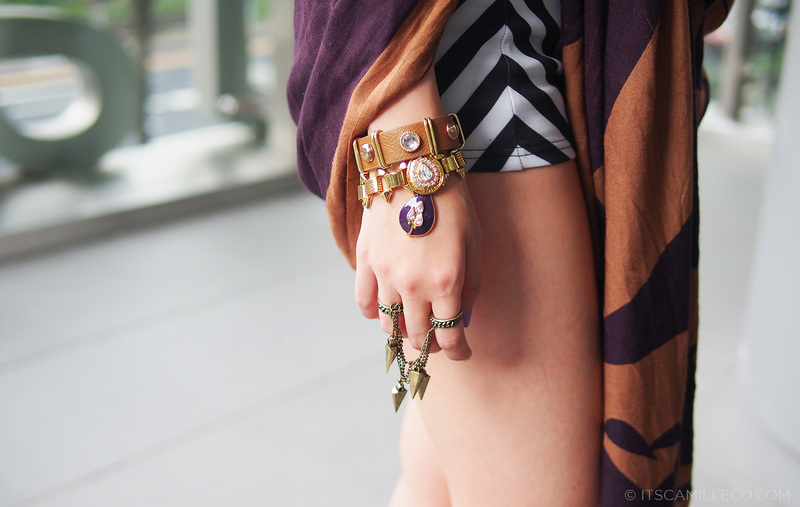 Taara‘s pieces always have this old world charm that can make any girl swoon. They’re so elegant and classy. I feel like they’re the kind of jewelry I can pass on to my kids and they’d still love them as much as I do. I mean look at my serpentine bracelet! It can totally pass off as an heirloom. 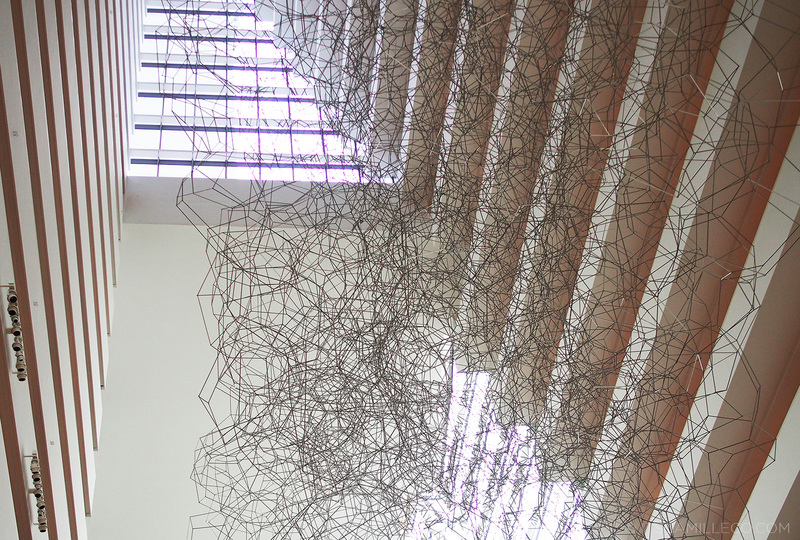 Once I got to Singapore, I took my scarf off and wasted no time to tour around the city. My family and I have been to Singapore a number of times already. We usually stay at Mandarin Orchard, shop along Orchard road, and eat at our favorite restaurants like Boon Tong Kee, Din Tai Fung, No Signboard, Lei Garden and more. It’s starting to feel like routine already so my sister and I decided to shake things up a bit. We wanted our family to try something new so we checked out a few new places we’ve never been to like the restaurant Sky on 57. 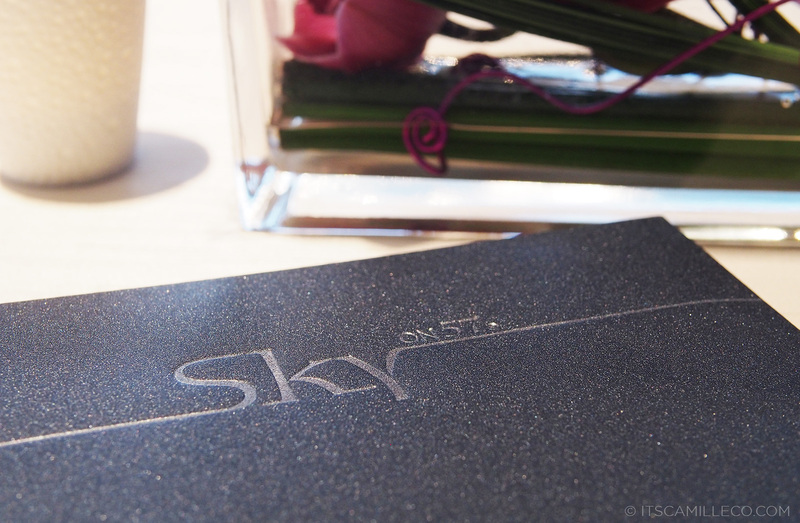 Sky On 57 is a fine dining restuarant located on the 57th floor of Marina Bay Sands. 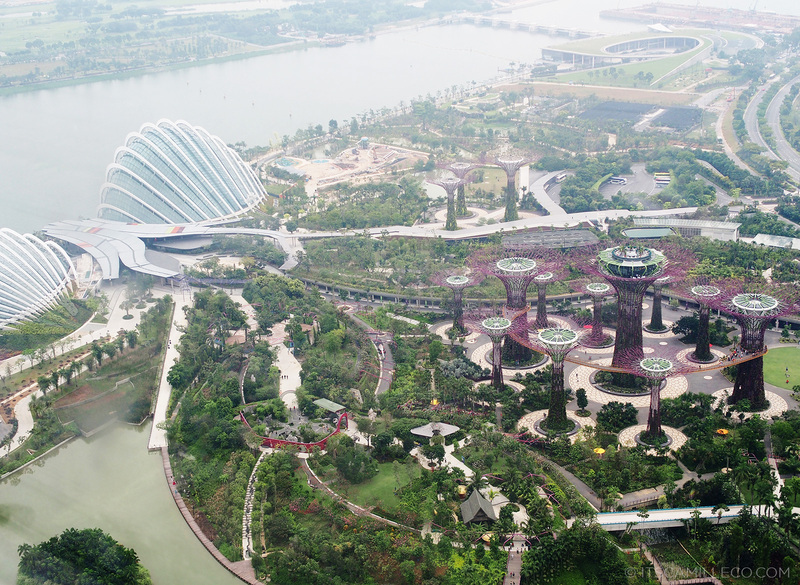 You’ll get to see this beautiful view of the Gardens By The Bay and the rest of Singapore as you dine. My family loves to dine and never skimps on food so you can see where I got my appetite! 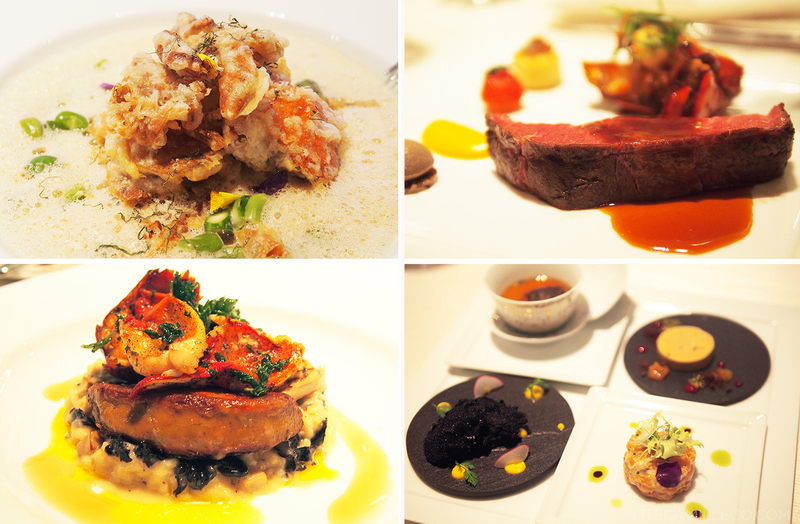 Here’s just some of the dishes we tried. This is my favorite. It’s xiao long bao with foie gras! 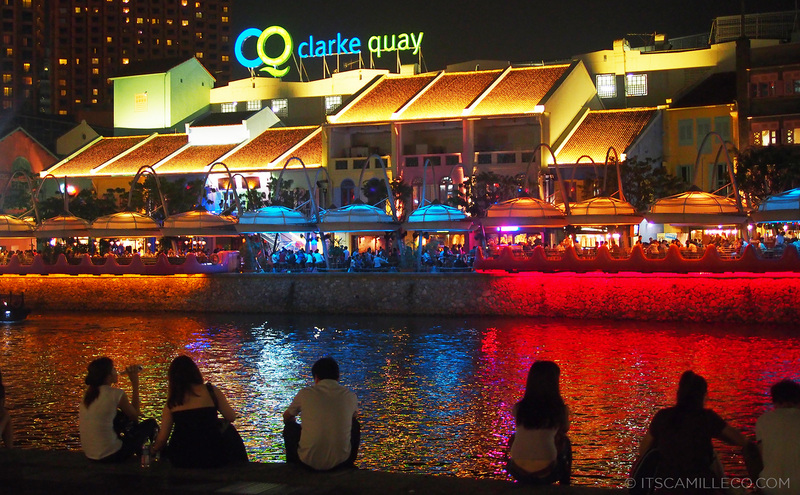 Another place we’ve never been to is Clark Quay. I don’t know why but we’re always at Orchard Road and Orchard Road alone. 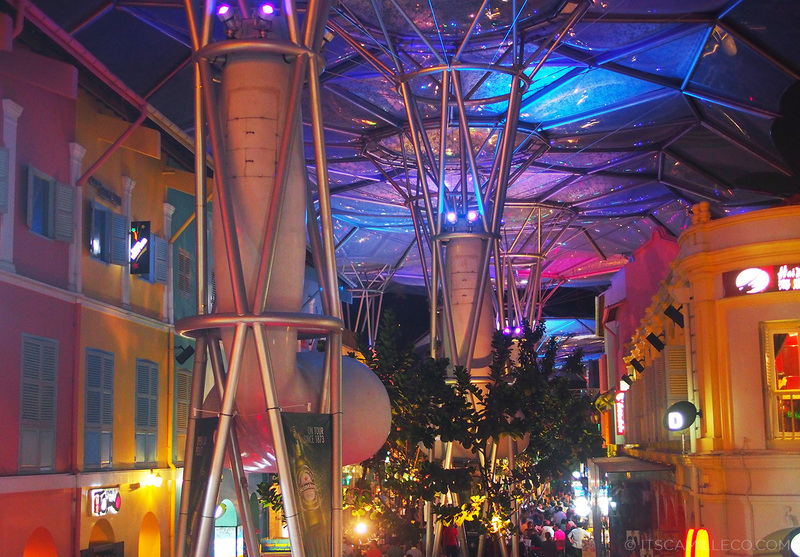 I’ve heard about Clark Quay before but I had no idea how it looked like until now. 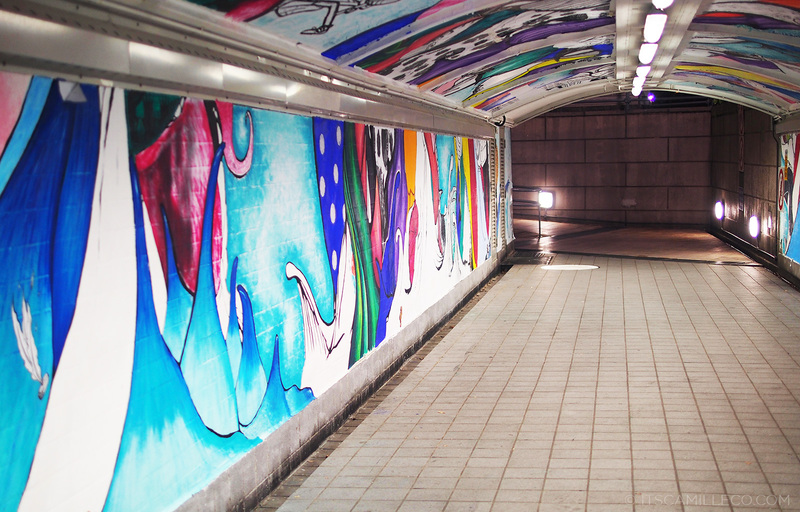 Ahhh–street art! It gives the city so much flavor–when done right of course. Vandalism is a totally different story. 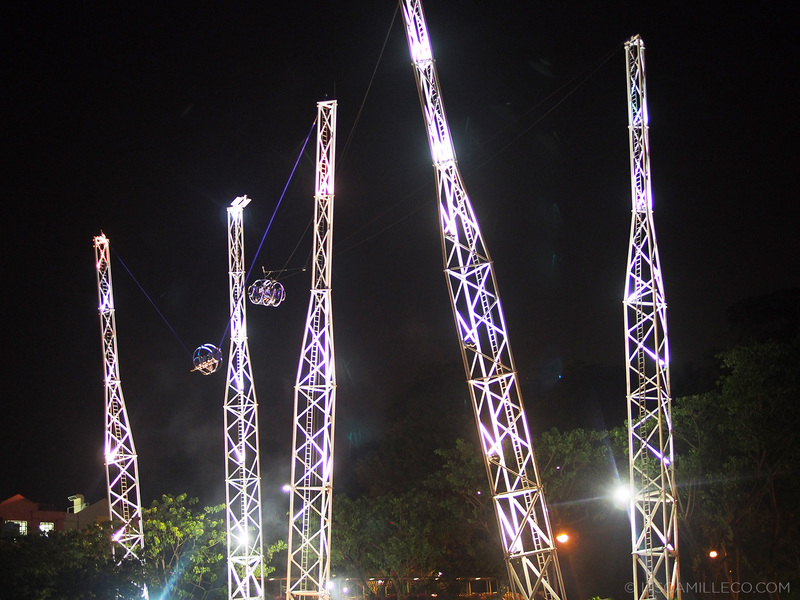 Anyone dare to go on these rides? They’re scary as hell! The one on the left is like bunjee jumping. You sit inside the ball-like structure with your friends. Then, you get lifted up in the sky and then released. Those blue bands work like rubber bands so you spring up and down. The ride on the right is much scarier. It’s like Anchor’s Away, except much higher and faster. I would probably die if I ride this one. The worst part is before you get released, they’ll raise you up so high (like 90 degrees of the pole) so you’re facing downward and you can see how high up you are. They’ll make you wait in that position for a few seconds just to scare you even more because you don’t know when you’re getting released. Evil! 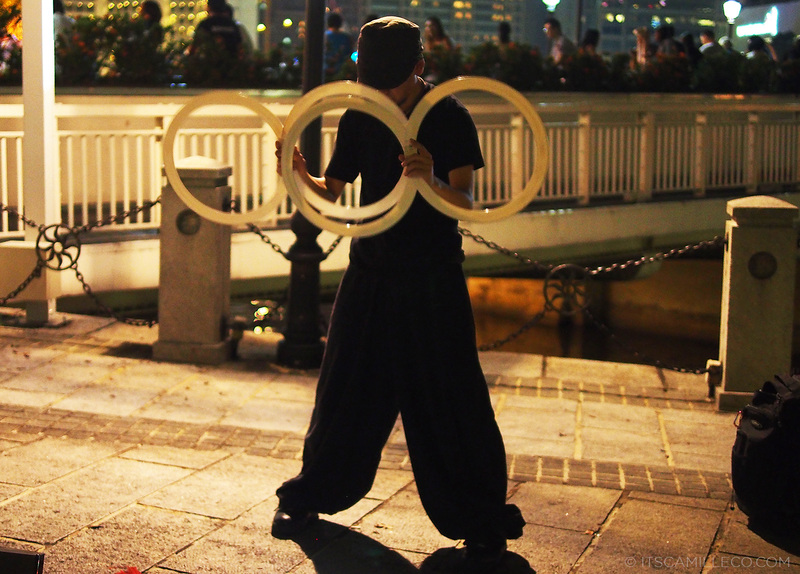 No bustling night life will ever be complete without street performers. 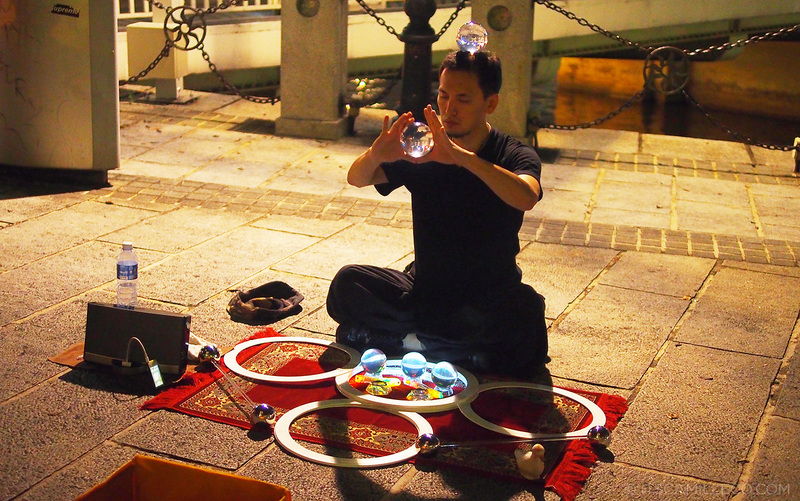 This guy is the master of illusion! He’s got moves! As I’ve said, my family loves to eat. 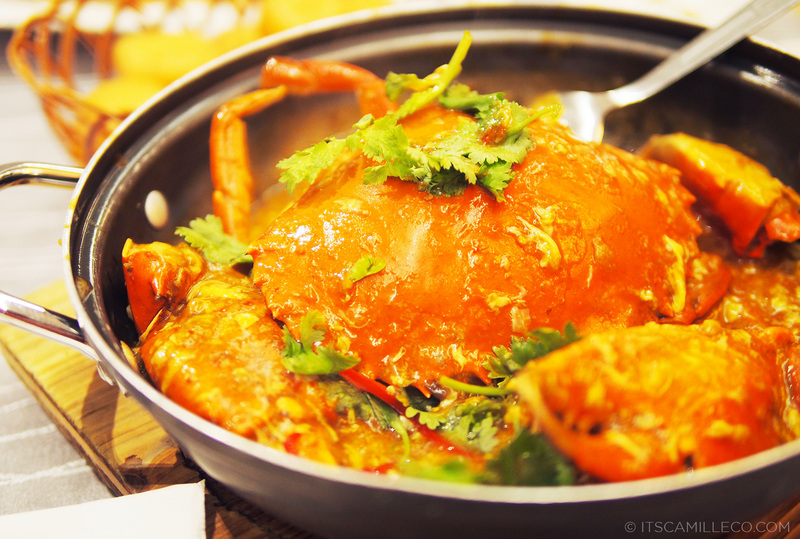 This is really the reason why we went to Clark Quay–yummy crabs from Jumbo Seafood Restaurant! 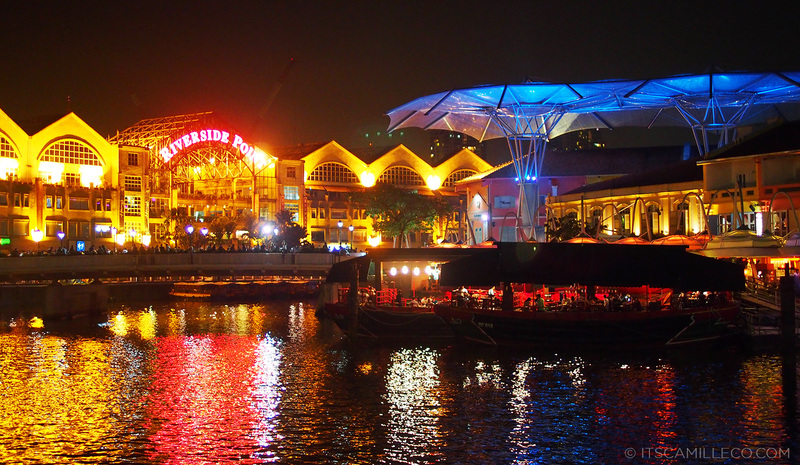 There’s also the Riverside Point at Clark Quay. It’s a hub for mostly bars and clubs. I’m happy I was able to see a different side of Singapore. Sometimes, you frequent a place so much you forget about the beauty of exploring and discovering new things and just stick to what’s comfortable and what you’re used to. Traveling shouldn’t be this way. It’s best filled with pleasant surprises and new memories. More of my Singapore trip on my next posts! Thanks Nic! I credited this in one of my older posts :) I forgot na! I love your blog, but i just want to ask u to google foie gras. it’s really sad how the goose are held down and force fed! We actually stayed in Clark Quay when I was there so I was actually able to see a lot of it last week. He he, yummy looking food. I’m drooling over our carpet even though I’m allergic to crabs and all the other sea creatures known to man. Oh noooo! That’s so sad! You’re missing out! Hate allergies. Kakagaling lang ng family ko sa Singapore. Nakakamiss! We stayed there for 5 days but it still isn’t enough! Gusto kong balik balikan! Oh wait is it a shawl??? Omg I love ur cardigan thingy!!!! I want to get something like that!! Hey! Thanks for this post! Maybe I’m gonna try all of it in one go! :) What do you think? Which? The food? The rides? Did you try the iFly at Sentosa??? It’s so flippin’ awesome! so comfy outfit. like it. can i ask something. usually when you travel abroad like this, sino pong kasama mo? hi camille, these are great shots! may i know what cam was used? been looking for one that takes great night shots as well :) thank u! I’d rather ride on space shuttle 10 times than to ride this “evil ride”. Hahaha! Do you speak in Chinese when you order food? The crab looks tasty! Beautiful scarf, but this time I’m more excited about Singapore and that food :P Great photos! Lusting over your shoes! Is there a website tht ships to the US? nakaka gutom ang post na eto :)) ansarap ng pagkain..haha!yun lang tlaga ang napansin.. Thanks Alexis! :) You’ll enjoy SG for sure! Wow! Amazing way you wrote about Singapore! Visit Singapore more often! There are a few more places that you would like to find yourself in! Nice, makes me want to do and see so many things !!! So happy you came to Singapore, but too bad I didn’t spot you in the streets, heh :P I wanted to try Sky on 57 since forever! Hopefully I can celebrate a special occasion there! 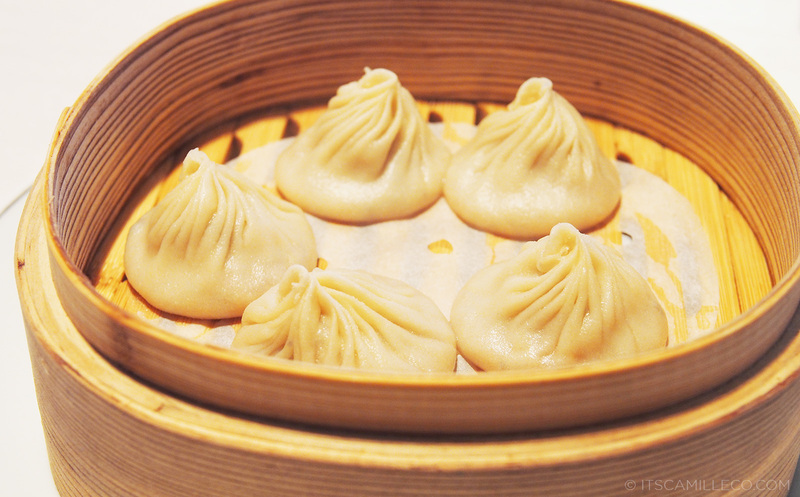 I love Justin Quek’s xiao long bao. 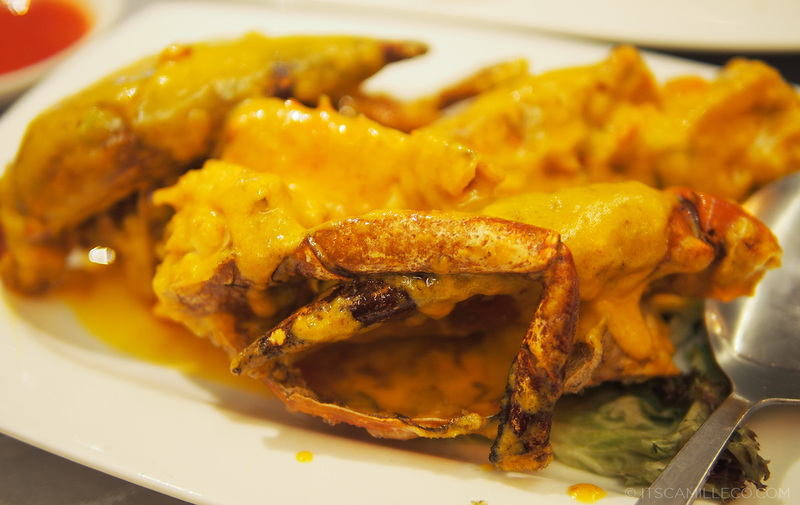 One of the best in Singapore! When my bestfriend and I are craving for xiao long bao, sky on 57 is the first on our list. Love the scarf! I’m obsess with scarf. I love Pashma (for their color and materials) and BVLGARI (for classic styles) scarves. I definitely understand you :)) So is silver not an odd color for wedge sneakers? not just one visit, multiple visits! Wow!!! What an amazing place!!! I need to go at Singapore!!! I’m pretty curious about this food!! I’d like to eat all of this!! Everything looks so yummy!!! And you’re always so pretty and well dressed! Thanks Simone! 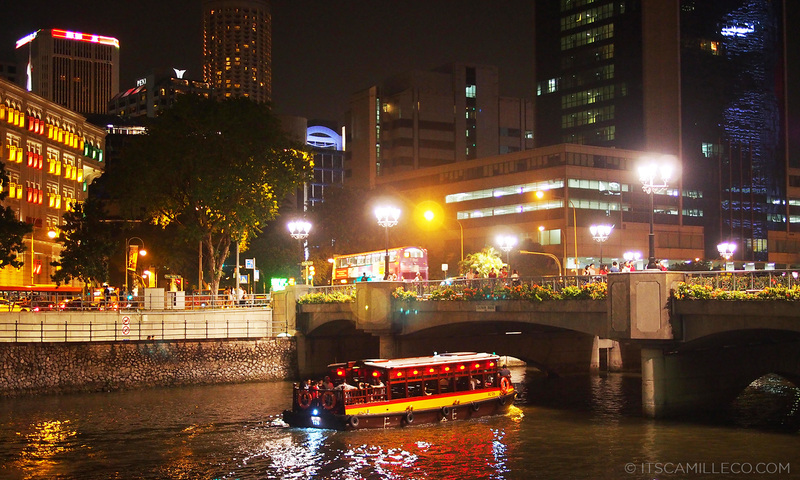 You should visit SG! The food is amazing! I miss Singapore :( I don’t know when I will go back? Did you went to Tangs? I bought a bag and a sandals there :) Nice post Ms. Camille as always! Wow..I’m mesmerized. Hope one day I could go to Singapore. :) I like the outfit a lot. I love prints. I love your big scarf, Ms Camille! So comfy~ I have never been to Singapore yet but will definitely visit there! Hopefully soon! p/s: I feel so bad for not reading your blog for a week or more.. because I have been so focus on my country’s election as I’m a first time voter.. sigh.. i don’t know if there’s news about Malaysia’s GE-13 in the Philippines.. hopefully everything will turn out alright.. sorry.. i know it’s out of topic.. I just saw your Haji Lane post. It’s near there. Ako naman sa ilang beses ko nakabalik sa Bugis ung Haji Lane ang di ko napuntahan. Will definitely go there on my next visit. :) I loved your photos. Girl, ini-imagine ko palang yung ride, di ko na keri! kaloka! magbabayad ako para mamatay! hanggang carousel lang ako! haha! Keri mo mag-sky diving? beautiful pictures! and i love your scarf and shorts! Food looks so delish and cutie outfit you have! Super cute and comfy outfit but the shoes takes the cake hands down! Adorable! Goondohhh ng view..lahat maganda..! !except the scary ride..goshhhhh!! Wow beautiful photos and i love your outfit. Those shoes look like they hurt, don’t they? No! They’re plastic so super comfy! Thanks Trisha! :) At least you can steal them from your mom’s closet!